Following the conference, on 14 November 2018, Theresa May’s cabinet agreed the contents of the provisional withdrawal agreement with the EU. On 25 November 2018, the EU Leaders approved the withdrawal agreement in Brussels. The withdrawal agreement will be laid before the British Parliament for a meaningful vote to approve the agreement. Andrew went on to reiterate that there is still a lot of uncertainty at this juncture. He talked through a number of the potential outcomes that are still possible as the political landscape evolves. For financial services firms, most are now preparing on the basis that there is “no deal”, meaning the provision of cross-border services will be restricted and access to market infrastructure threatened. Whilst measures to mitigate the worst aspects of no deal are now being discussed by both the UK and the EU, these will not allow firms to operate without change and will only be temporary. 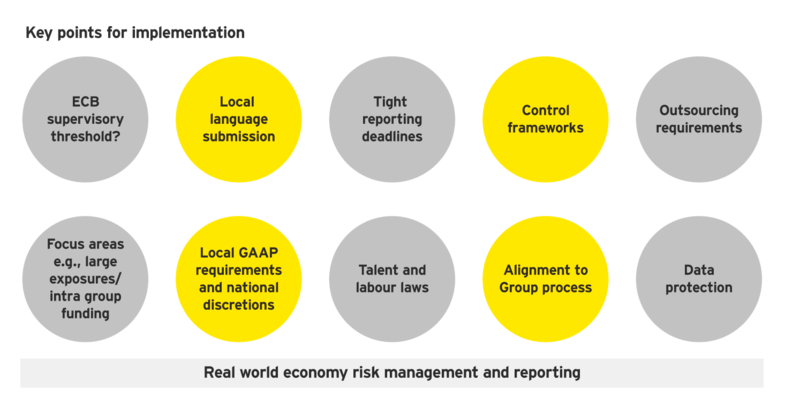 Firms will need to plan their response across a range of issues, including the impact on prudential reporting. Nick then delved into the implications for prudential reporting by reminding the audience that currently many European Economic Area (EEA) financial services firms undertake activity in the UK on a cross border basis or through a branch using passporting rights. If no withdrawal agreement is ratified by both the UK and the EU, these rights would fall away at the end of March 2019 and these firms would not legally be allowed to provide services in the UK. To avoid disruption, the government will run a Temporary Permissions Regime (TPR) where firms can continue to offer the same services (but not new ones) for a maximum period of three years.